Our litigation department consists of highly qualified attorneys who concentrate in various aspects of civil & commercial litigation. The experience of our attorneys practicing in the areas of corporate and business law allows us to represent clients with complex corporate and business matters. Fox McCluskey advises clients who require assistance in the complex area of estate planning. Fox McCluskey represents real estate purchasers, sellers, lenders, borrowers and developers in matters ranging from individual residential transfers and closings to complex commercial purchases and transactions. Our firm handles labor and employment issues for both the employer and employee. Our board certified attorneys prosecute and defend wage and hour cases. We assist developers in developing condominiums, townhomes and single family developments, representing associations and individual residents in a wide range of condominium law and homeowner association law issues. Our litigators are well versed in the state and federal laws affecting collections and the relationship between the collection professional and consumer. Fox McCluskey represents developers, contractors, subcontractors, tradesmen, owners, lenders, design professionals and others in the construction industry. Fox McCluskey assists clients affected by state and municipal laws, including land use planning, regulatory compliance, code enforcement actions, zoning, permitting, variances and administrative proceedings. Our attorneys represent and advise individuals, families, private foundations, banks and trust companies who are either beneficiaries or fiduciaries of trusts or decedents’ estates. We work closely with clients to achieve the best tax result, while meeting their personal, business, charitable and estate planning goals. We offer a variety of services to homeowners, business owners, real estate investors, lenders, contractors and construction professionals for difficulties, losses and problems that result from extreme weather events. Experienced. Focused on you. Reputation. The firm was founded in 1974 and has established a strong presence and reputation in the legal community with recognized, skilled attorneys. Since its inception, the goal of our firm has been to consistently deliver timely, effective and cost-efficient legal services to our clients. Fox McCluskey is proud to have been awarded the Martindale-Hubbell National Law Directory’s highest firm honor of an AV rating. This independent, objective rating is based on reports from our peers, as well as judicial feedback. Fox McCluskey is also proud to have five attorneys who have obtained board certification. Only seven percent (7%) of all attorneys practicing in Florida are Florida Bar Board Certified in their area of specialty. Certification is the highest level of evaluation by The Florida Bar of the competency and experience of attorneys in the areas of law approved for certification by the Supreme Court of Florida. Our attorneys return benefits to the community by dedicating personal time and effort to charitable and civic organizations. In addition to the attorneys working for the firm, we have an outstanding support staff consisting of highly qualified paralegals, legal assistants and administrative staff, making Fox McCluskey one of the largest and most experienced law firms on the Treasure Coast. Many of our attorneys are Florida Bar Board Certified in their area of specialty. 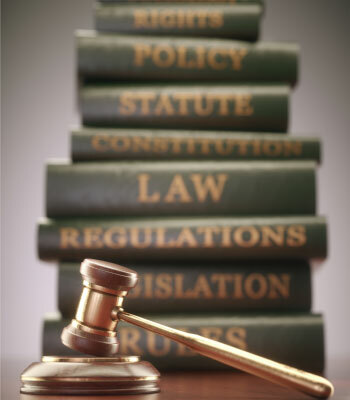 The Attorney/Paralegal team works closely with each client to provide timely and efficient legal services. We have established a strong presence and reputation during more than 40 years of legal service.